The University of Georgia Press has announced the publication of a new series of thematic short fiction anthologies that draws on the rich backlist of collections that have received the Flannery O’Connor Award for Short Fiction. To date over seventy books, amounting to more than seven hundred and fifty individual stories, have appeared in the series, which began in 1983. Under a unifying theme or subject, each new anthology will present entertaining, provocatively different takes on a single topic. 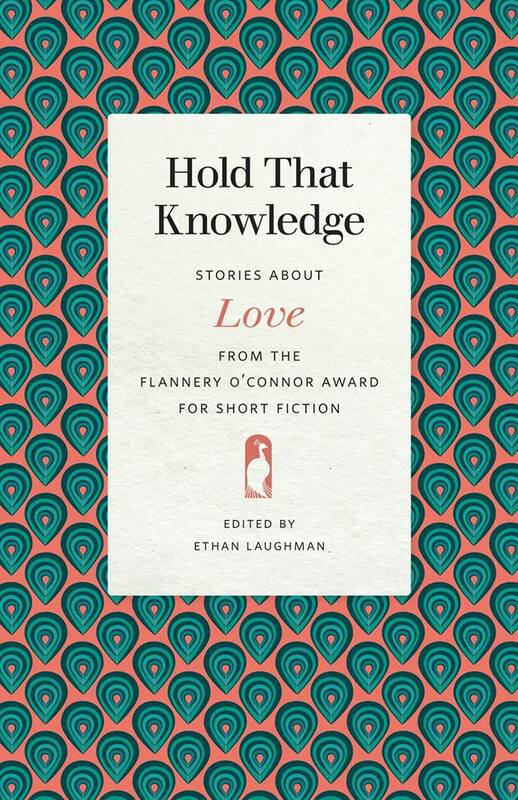 In March 2019 a pair of anthologies, the first on love, Hold That Knowledge: Stories about Love from the Flannery O’Connor Award for Short Fiction, and the second on death, The Slow Release: Stories about Death from the Flannery O’Connor Award for Short Fiction, inaugurated the project. Included in the “Stories about Love” anthology is my short story "My Mother’s Stories," which was first published in The Black Warrior Review and later appeared in my debut collection, The Evening News. The Press plans on releasing four anthologies each year, focusing each on work, family, holidays, travel, and other subjects. The series is edited by Ethan Laughman, who has worked in both the editorial and marketing departments of the University of Georgia Press. Set in the bustling holiday streets of Rome and ethnically divided Croatia and Bosnia, my latest book, The Calling of Saint Matthew, tells the stories of a dozen or so North Americans, Italians, and Croatians at the turn of the century. The Calling of Saint Matthew is about Catholics, both practicing and lapsed, and is set between the morning of the devastating 2004 South-Asian tsunami and the death the following spring of Pope John Paul II. The novel features details of everyday Roman life, portraits of several of Rome’s most intriguing churches, and a range of characters that includes a young woman waiting for a call from her married lover, a rogue Italian performance artist reenacting the life of Caravaggio, a gay centurion who works outside Rome’s Colosseum, and a wise Croatian former nun whose faith and life story stands at the center of this swirling interconnected novel in stories. The Calling of Saint Matthew is also a book about the city of Rome itself, as each of its sections reflects, and draws its central narrative from, the art and history of one or more of Rome's churches and basilicas. Here I think of Richard Hugo's masterwork, The Triggering Town: Lectures and Essays on Poetry and Writing, and his concept of a triggering subject. The novel is also patterned after Krzysztof Kieślowski's interconnected series The Decalogue — ten short films, each triggered by one of the Ten Commandments — as well as his Three Colors trilogy and his evocative masterpiece The Double Life of Véronique. An exciting collection of contemporary short fiction featuring the work of eight North American writers of Italian descent has been published in Italy by Manni Editori. 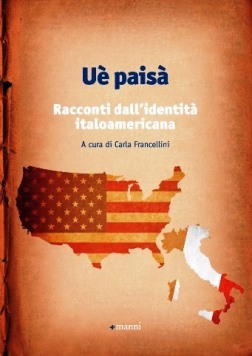 The anthology, Uè paisà: Racconti dall’identità italoamericana, is one of the first Italian collections to feature contemporary Italian American writers in translation. The book was edited and translated by Carla Francellini, Professor of Comparative Literature and Literary Translation at the University of Siena. The anthology offers three of my short stories for Italian readers: "The Eyes of Children," which first appeared in my collection The Evening News, recipient of the Flannery O’Connor Award for Short Fiction; "The Man in the Movie," which was included in my collection Taking It Home: Stories from the Neighborhood, published by the University of Illinois Press; and a new, uncollected short story, "What I Learned from the Good Sisters of Christian Charity During My Nine Years of Roman Catholic Grammar School in Chicago," which was published in The Louisville Review. In addition, translations by Carla de Rosa of two additional short stories, "World Without End" and "The Transplant," both of which appeared in The Evening News, along with an interview, are forthcoming in another anthology of short fiction and poetry written by North American writers, to be published in 2019 by Artemide Edizioni.